Tasmanian writer Christine Dibley has recently launched her debut novel To the Sea. The book is one of our Recommended Reads for January and if you check out that post you’ll see that we have a copy to giveaway. 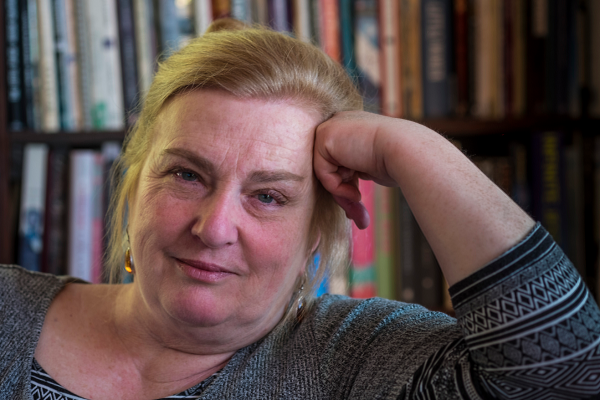 We are delighted that Christine could take the time to answer a few questions for us in advance of her launch event at Fullers in Hobart, on Saturday 21st January. 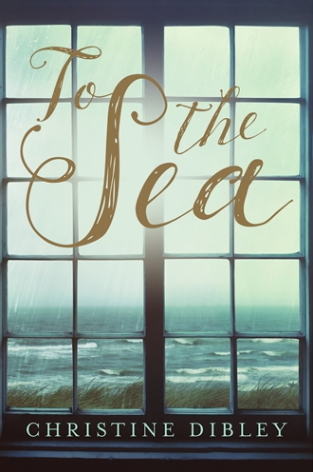 Congratulations on the publication of To the Sea, Christine! How has the launch been? The ‘in person’ launch is on Saturday at Fullers and I hope to see friends and family there, and maybe some readers. The past month has been busy. The blog tour has been terrific and really gratifying and I have done some newspaper interviews. It still feels surreal to see people talking about my book, taking photos of themselves with it and making it their new book club read. Thus far, the feedback has been very positive. It seems no-one can classify it into a specific genre and a number of people have said they have never read a book quite like it. I think they mean that in a good way! Can you tell us a bit about the process of writing the book eg how long it has been from conception to publication? How much research did you have to do? Conception is difficult to pinpoint. The essence of the story was twitching away in my brain for months before I wrote the first word. I couldn’t conceptualise it clearly and it always rambled away into an unresolved nothingness. So, I sat down and just started writing. I had no idea where it would go, how to structure it or if it would be even vaguely interesting. But at the point I stopped worrying about all of that, the story and the characters began to emerge. It took me the better part of two years to write and then another two years to find a publisher and get it to the point that it was a book sitting in book shops around the country. Research was a delight. I read a lot but many of the Irish, Gaelic, Celtic and Norse legends were familiar territory and just needed to be revisited for detailed clarity. It was a great excuse to buy some treasured books and roam around bookshops across Irleand and visit Iceland in mid-winter. Garnet Point, the fictional setting for Rosetta, is where we have a shack and I have spent a lot of time in Mayo so the two places in the book were deeply familiar to me. They wrote themselves into the story. Do you think Australia, and specifically Tasmania, are good places to be a writer? I think it depends what you want from being a writer. While you may have to be incredibly successful in terms of book sales to make a good and reliable income from writing, the actual process of writing is really what we make it, wherever we live. That said, imagine trying to be a writer in Iraq. Or North Korea. Or Russia. Australia, and more specifically Tasmania, is easy in comparison. Many of the hardships I now realise stopped me from writing for many years were self-imposed. Yes, it is hard to carve out space and time to dedicate to writing and it is hard to find a publisher but there are not many places I would rather be writing. Tasmania is infinitely stimulating and we have a very generous and supportive media and arts community. In fact, the whole community is supportive. Tasmanians embrace their artists. Tell us a bit about how your travels have influenced your writing? I am intensely influenced by place. I used to think this influence demonstrated weakness of character on my part. I worried I was unsure of who I was or that my personality was so unformed as to change so dramatically depending on where I was. This analysis may be true but I no longer worry about it. My capacity to be profoundly affected by geography and the ways people live in different environments is one of the reasons I love travelling so much. People living in small villages in Burma are very different to people living in small town Australia or on isolated islands off the west coast of Scotland. It is these differences that I find endlessly fascinating and which lure me into creating stories to explore those differences. And while there are many great cities in the world and I can spend hours and days in their museums and galleries and markets, it is the quieter, less travelled backwaters I love to get lost in. I doubt I will ever write a book set in London or New York, as much as I enjoy those cities. Tokyo might be my only big city exception. It is a fantastical place. Finding a place to write in my house was a ridiculously difficult exercise. You would think that a large house, after all the children have left, would provide plenty of spare rooms but it didn’t turn out that way. Eventually, I took over one of the upstairs attic bedrooms and now it is mine. There is a bed and a cot in it for visiting children and grandchildren but, most of the time, it’s mine. At my shack, I sit on the deck in almost all weathers and write. How do I write? In essence, it is simple. I sit down at my desk after breakfast and write. I write most days and generally do a full day. Sometimes the music is loud and other times I have only silence for company. I don’t allow myself to be ‘blocked.’ If I can’t move the story forward, I push it. What I write when I’m pushing is usually rubbish but coming back to the rubbish gets me editing (and either groaning or laughing) and then deleting. Soon, I’m on a roll again. I must say, writing for me is an absolute delight. Knowing I have a whole day in front of me with nothing else pressing for my attention is one of life’s joys. I know people say writing is a lonely occupation, and that’s true, but I relish the solitude. I can’t imagine how you would ever write anything if you needed frequent company and conversation or were easily distracted. I know I couldn’t. So many favourites. So many. Absolute lifetime favourites include Yukio Mishima, Vladimir Nabokov, Pat Barker, John Banville, Edna O’Brien, Valerie Martin, David Malouf, Margaret Atwood. Truly, there are too many. I read some terrific books in 2016. I loved The Natural Way of Things by Charlotte Wood. What an extraordinary novel! For completely different reasons I was entranced by His Bloody Project by Graeme Macrae Burnet. While it was published a few years ago, I fell in love with Madeline Miller’s Song of Achilles. This book was confirmation, as if I needed it, of the timeless power of ancient legends. I also read a lot of non-fiction and this year treated myself to Steven Pinker’s The Better Angels of our Nature (make sure you’ve got a serious block of time to read this) and Ta-Nehisi Coates Between the World and Me. Both of these books profoundly reshaped my views on history and race. Plans is probably too ambitious a word. I am writing and have two projects on the go. They are very different from each other and I am enjoying working on two such different works. I know that sometime soon, I am going to have to park one of them and concentrate on the other to bring it to completion.